Amana Capital: A new FCA regulated Broker has joined the ZuluTrade Social Trading network. 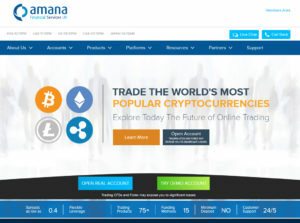 Multi-Asset-Trading: Amana offers Forex, Commodities, Futures and Cryptocurrencies at once. Amana captial has their core business in the middle east. According to the CEO by joining the ZuluTrade network the company wanted to add more valuable trading opportunities for their customers. Amana has some unique trading features that you won’t find with any other european fx broker. Amana has four different account types on offer: Mini MT5, Basic MT5, Elite MT5 and Basic MT4 – according to the amount of your initial deposit. The higher your deposit the better your trading conditions with up to 0.4 points spread. Depending on your account type you can choose between up to 54 forex pairs and 24 index, crypto and commodities CFDs. The account can be funded in EUR, GBP or USD. You can choose between 15 funding methods to fund your account smoothly and fast. Amana Capital is a modern broker where you can already trade with MT5. But if you still like to stay with the good old MT4 to run your EAs there’s still an account type for you. One more particularity with this broker: With exception to the largest account model there are no swap or rollover fees whatsoever! Thus you can hold your FX positions as long as you like without losing money just because of negative swap fees. 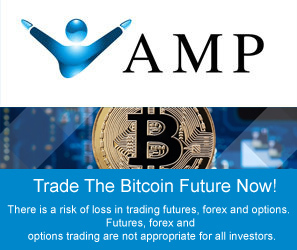 If you would like to test Amana don’t hesitate to register your Amana account via ZuluTrade and try out this brand new broker with awesome conditions!